A celebration of everyday heroes! 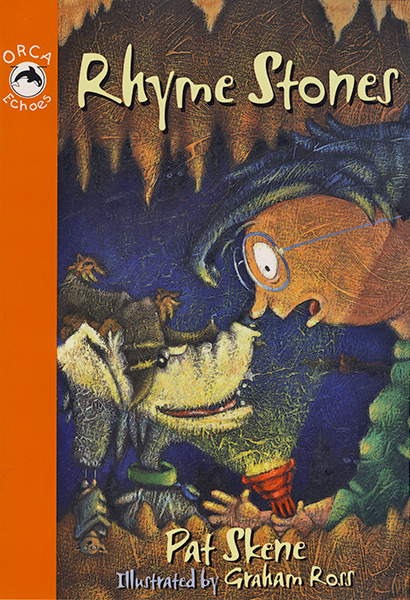 In the opening poem of Rhyme Stones, Cecil is scared of the dark, but his dog is trapped in a cave. 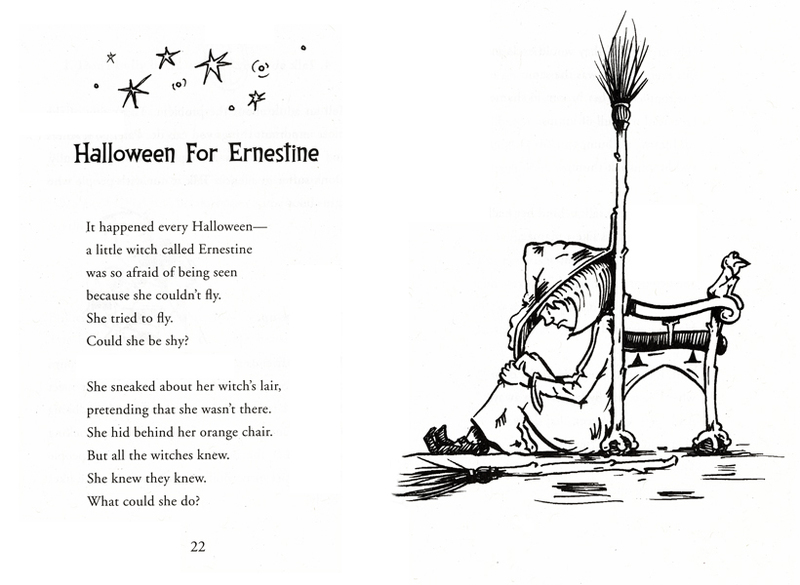 In the second story poem, Ernestine can hardly be a witch if she can’t fly on a broom. And then there’s the schoolyard bully Polly Palooka and another kid with “trouble spots” and more. Each long poem is followed by an exclusive interview with the main character. And each short poem has a “trailer” of cool facts about the theme. Click the Extras tab below to read some cool facts. Did you know these cool facts? A bumble bee bat is the size of a jellybean. “Spelunkers” are people who like to explore caves. Kids who bite their fingernails get more warts than kids who don’t. Halloween started in Ireland over 2000 years ago. There are no words that rhyme with month, orange, silver and purple.